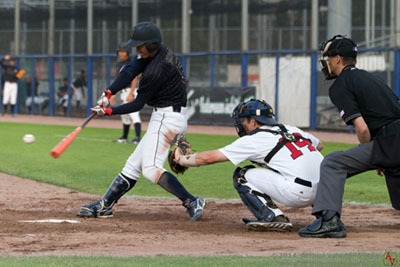 HAARLEM, The Netherlands - The USA Baseball Collegiate National Team couldn't find an answer for the Japanese pitching staff on Friday as Yuki Yoshida and Yasuaki Yamasaki combined on a one-hitter to lead Japan to a 1-0 win in the opening game of the 27th edition of Honkbal Week at Pim Mulier Stadium. "Japan took advantage of one of their opportunities to drive in a run and we didn't," Team USA manager Dave Van Horn (Arkansas) said. "You look back at the beginning of that inning and it started with a leadoff walk right after a pitching change. Other than that, I thought we pitched an outstanding ball game. "Obviously, they just pitched a little bit better. We had the bases loaded with two outs and a runner on second twice. We just didn't get the big hit. Hats off to Japan, hopefully we will swing the bat better tomorrow." Yoshida fired 7.1 hitless frames, striking out seven, before yielding a one-out single to Dansby Swanson (Vanderbilt) in the top of the eighth. 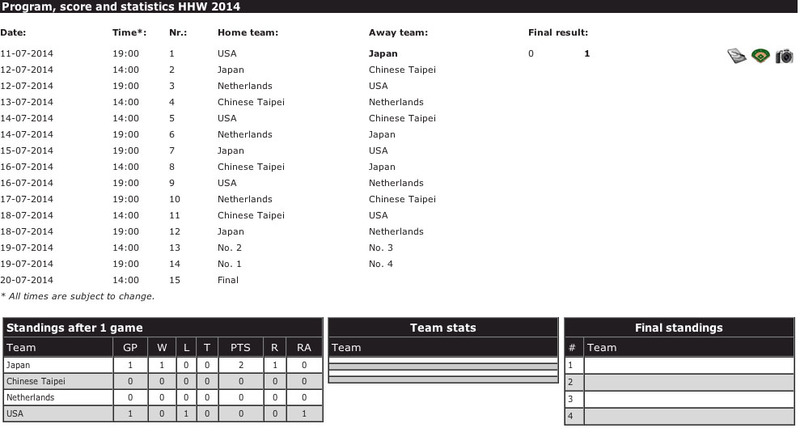 That would be Team USA's only hit of the evening though as Yamasaki closed out the final 1.1 frames to earn the save. The U.S. pitching staff did a tremendous job as well, led by starter James Kaprielian. The UCLA right-hander twirled five shutout frames, allowing just two hits while striking out three. Jake Lemoine (Houston) suffered the loss but gave up only two hits and one run in his three innings of work before Tyler Jay (Illinois) struck out two in a 1-2-3 top of the ninth. Despite not getting its first hit until the eighth inning, Team USA was able to mount a two-out threat in the bottom of the fourth. After two quick outs, the next three batters each drew walks only to see a groundout to short leave them all stranded. That would be the most action the U.S. could muster until Swanson finally put a tally in the hit column with his one-out single in the bottom of the eighth. He would be left stranded at second, as would Mark Mathias (Cal Poly) in the ninth after he led off the frame with a walk, reaching base for the third time in the contest. He was hit by a pitch once and walked twice. The game's only run came in the top of the sixth as Japan drew a leadoff walk and moved him up to second with a productive groundout. A fly out to left put two outs on the board but a wild pitch allowed him to reach third and a two-out single by Shogo Nakamura brought him home. The Collegiate National Team continues the double round-robin portion of the tournament on Saturday with a prime-time showdown against the host Netherlands at 7 p.m. local time (1 p.m. ET). Vanderbilt right-hander Carson Fulmer will toe the rubber for Team USA.